Concentrates and Waxes are an evolving form of medical marijuana consumption. Derived from the dried flower, through a variety of different methods, these highly concentrated substances come in a number of different consistencies, potencies and forms. 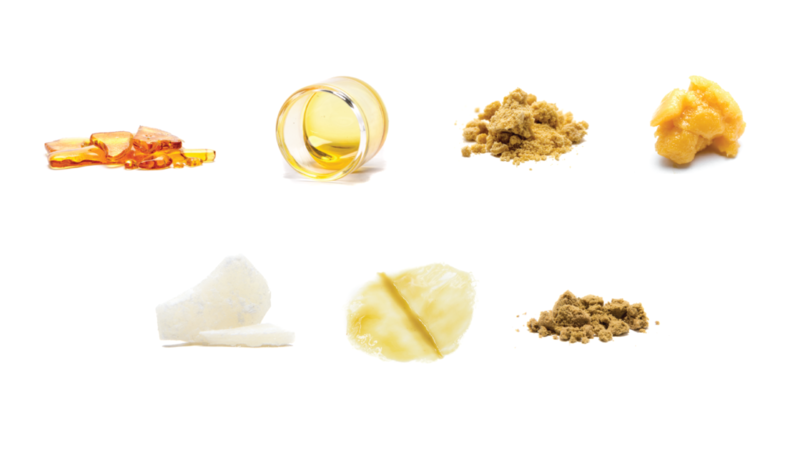 Clockwise from top: Shatter, distillate, crumble, badder, crystalline, rosin, dry sift. Learn more about our Concentrates, Waxes and Extracts.